The history of any place is as broad as the land and water that cover it and as varied and multi-layered as the humans who have impacted it. History is always personal(being the story of someone or some group) and to the great extent that people interact, sometimes their stories in a given place overlap and our understanding of that place deepens as we perceive these relationships. Which makes the concept of linking separate museums together as a virtual “museum without walls” not only reasonable but very exciting! Spearheaded by Barbara Decker AKA Barbara Decker-Franklin, who grew up in the East but is a long-time St. Louis area resident, with a stellar background in multiple arts and decades-long experience integrating learning with the arts, this Urban Museum Collaborative takes an innovative, very hands-on approach to the dissemination of history by way of specific artifacts within the museums’ collections. Decker-Franklin worked closely with designers Allan Smith and Tom Kavanaugh of Triune Communications to make the UMC’s new website symbolic of the way artifacts, stories and individuals overlap in St. Louis, with graphics and visuals that overlap in continuous motion. All three museums share a mainpage which enables the visitor to then virtually enter each museum’s site and explore the ways in which the individual collections link to (or relate to) one another. For example: Dred and Harriet Scott (one of the important life stories of The Griot) were contemporaries in 1850’s St. Louis of both the Field family and the Campbell family, whose homes survive today as museums. While Dred Scott was suing for his freedom in the Courthouse on Broadway, Eugene Field’s father, Roswell, was pleading his case. The Campbells were not yet resident in the house on Locust Street(originally Lucas Place) but lived within a block of the Fields on South Broadway and within a few blocks of the Courthouse. This inter-relationship is certainly interesting but it becomes thrilling when visitors to the museums (adults and students) are invited to hold or examine artifacts from the collections that interface with all three of these groups of people: a legal document in the Eugene Field House Museum pertaining to Dred Scott’s Case, a recently discovered emancipation record in Campbell House signed by Robert Campbell, freeing a young black woman and her children who were part of his household, and the exhibit depicting Dred and Harriet Scott and Roswell Field in the Griot Museum of Black History. As an artist and M.F.A. (Barbara Decker-Franklin began drawing with great detail at the age of two and was teaching child friends to draw in “a garage school” by age six), she has a deep appreciation of the power of the arts to transform. As an educator she has developed numerous, practical applications of the arts as tools to help students better understand the world in order to become more deeply responsible for it. Selecting for her Senior thesis at Carnegie Melon University in Pittsburgh the City of Oakland, an old area of Pittsburgh, Barbara “drew the neighborhood”, wrote a narrative of its history, “mapped the energy of the city”, then choreographed and performed her presentation as a theater piece. When it comes to integrating art (objects within a collection) with teaching history, Decker-Franklin is a master. A gifted educator, inter-disciplinary museum-based learning, the relationship of theory to practice, as well as art methods and literacy, have been central concerns for Barbara Decker for decades. She directed teacher programs at The St. Louis Art Museum in a former life (I am a devoted alum of several of those excellent teacher workshops) and is ideally suited to such a collaboration of museum directors. Like the unique museums they represent each director – Kimberly Ann Larson at the Eugene Field House Museum, Lois Conley at The Griot and Andrew Hahn at The Campbell House Museum, brings his or her own personality, energy and expertise to the project. 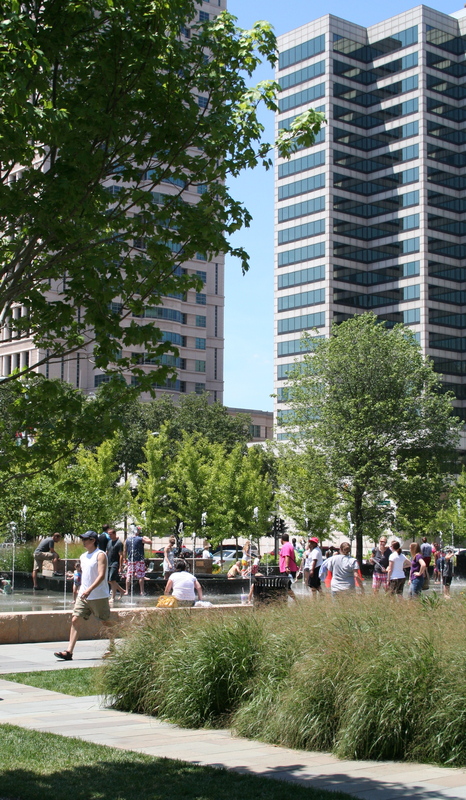 “These three St. Louis museums were chosen,” Barbara Decker-Franklin told me in a recent interview, “for their different and distinctive strengths and for their potential to be able to respond in new directions, to become parts of a greater whole, thereby playing more active roles in the community.” The goal of this Urban Museum Collaborative is, in Decker-Franklin’s words, “correcting and constructing a new understanding of the 19th century City of St. Louis and honoring the common humanity of those who came before – the laborers, the enslaved humans who came against their will, the immigrants – all who built and shaped the city with their enormous contributions. The Eugene Field House Museum is the oldest of the members, having opened to the public in 1936, in what is today the oldest residence downtown. 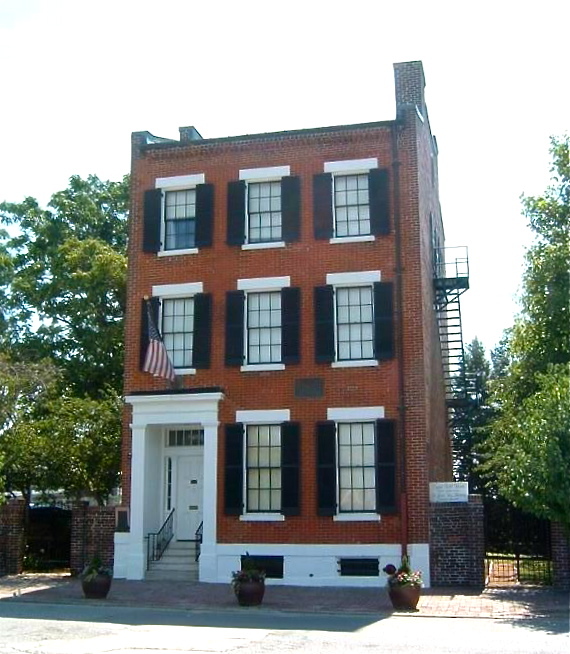 The only surviving portion of Walsh’s Row (dated to 1845) it was the boyhood home of Eugene Field, “Children’s Poet” and “Father of the Personal Column in American Journalism,” whose father Roswell represented the Dred Scott family in their suit for freedom in St. Louis. A focus on childhood in the 19th century which includes an antique toy collection begun by Eugene Field is a distinguishing feature of this foundation’s work. The Campbell House Museum, which stands approximately twenty blocks north and west of the Eugene Field House Museum, was constructed in 1851. 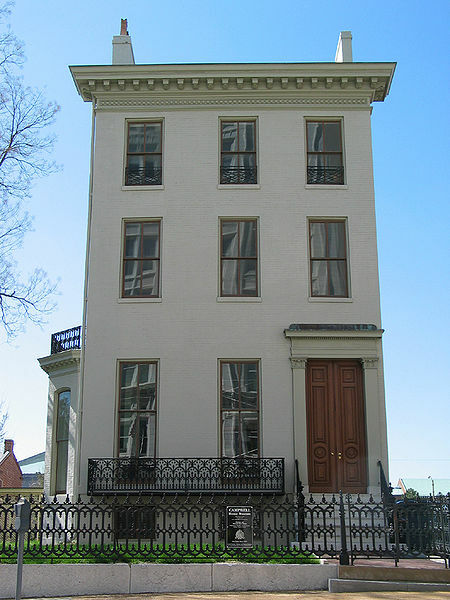 Unlike the connected houses of Walsh’s Row, which were the most prevalent type of city housing in the mid-19th century, the home of Robert and Virginia Campbell, was an innovation in urban housing, a single, three-story unit, which stood on its own property. Approximately ninety-five per cent of what the Campbell family owned is today inside the three-story Victorian townhouse at 1508 Locust Street, making it a treasure trove of upper-class, 19th century American family life. 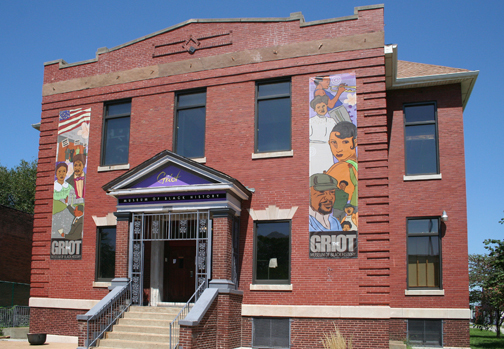 Founded in 1997 by Lois Conley, The Griot Museum of Black History is by far the youngest of the member museums. Unlike the Field and the Campbell House Museums, The Griot is located in a former school. It represents not one family but countless individuals of color from the 18th, 19th and 20th centuries. It’s the result of enormous initiative on the part of educator and curator, Lois Conley, whose vision to create a community center in a fragmented city neighborhood celebrating the history of black Americans has firmly taken root at 2505 St. Louis Avenue. The exhibits range from slave narratives to entrepreneurial cosmetic artifacts to a reassembled slave cabin. “The goals of the collaborative are three-fold,” Decker-Franklin explains, “making a difference, building community and seeking justice.” Ambitious and worthy! Curricula have been developed for all ages, employing multiple teaching styles, using artifacts and materials to initiate discovery. Working with directors and assistant directors of the three museums Barbara Decker-Franklin has encouraged them to explore more deeply their own documents, facilitated the correlation of their shared strengths in such areas as slavery, immigrant labor and the roles of women in their communities, and taken the local connections a step further – relating them to national history. 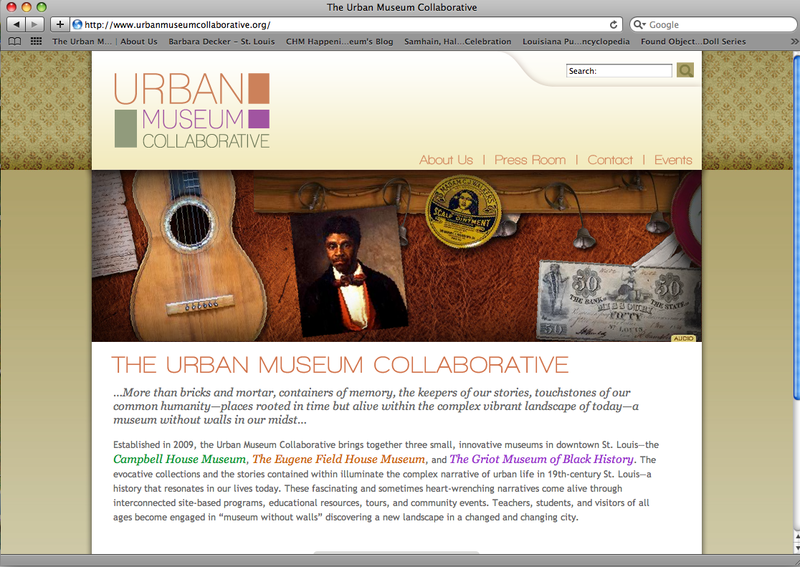 I highly recommend the Urban Museum Collaborative to classroom teachers, parent teachers and the general public. You will find it at: http://www.urbanmuseumcollaborative.org. I cannot wait to see the UMC in action! 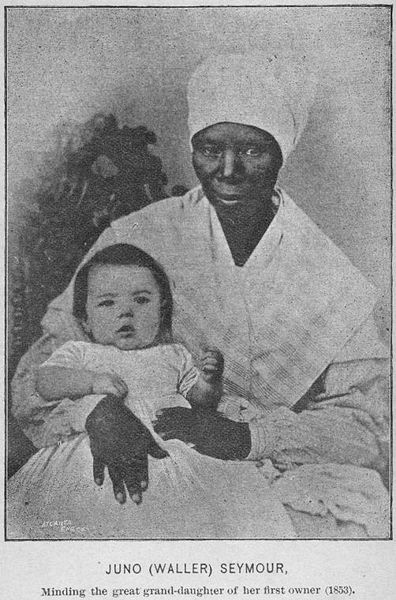 This entry was posted in Commentary and Criticism, Happenings, History, Neighborhoods, St. Louis and tagged Barbara Decker-Franklin, St. Louis, The Campbell House Museum, The Eugene Field House Museum, The Griot Museum of Black History and Culture, the Missouri Humanities Council, Triune Communications, Urban Museum Collaborative. Bookmark the permalink. Great article, Maureen! Thanks for sharing our stories with your readers! You’re welcome, Shelley! I’m so glad you liked it! Thank you Maureen. 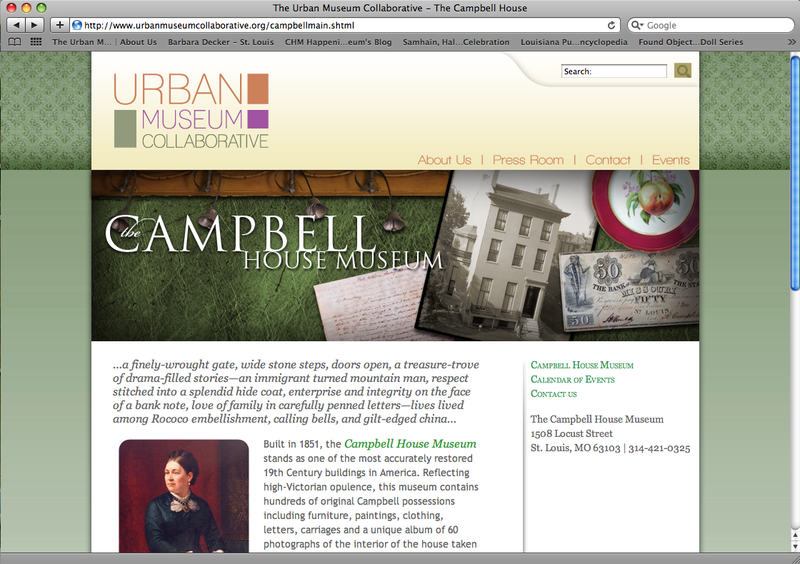 I’ve linked this post to the Urban Museum Collaborative website press room page. You’re welcome, Andy! Thank you! 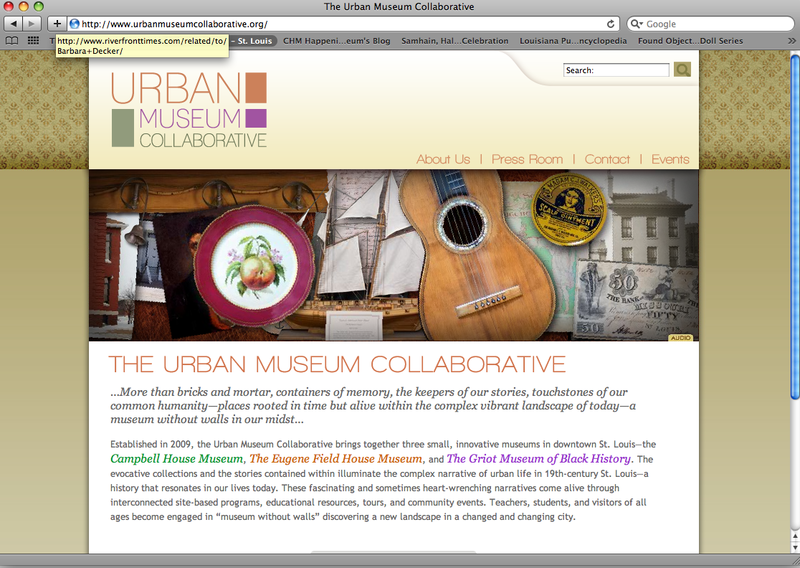 Hope the Urban Museum Collaborative flourishes in 2011! !